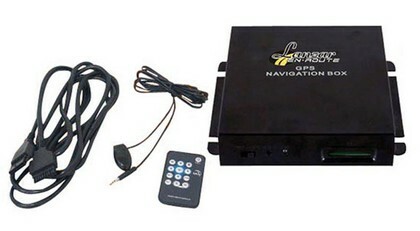 Lanzar Universal GPS Navigation System & Touch Screen Compatible Lanzar Universal GPS Navigation System & Touch Screen Compatible, Lanzar SNV90 Navigation System, GPS Navigation System, Navigation System, GPS Navigation [Lanzar SNV90 Navigation System] - $379.95 : 3rd Strike Performance, Your Source for Late Model MOPAR Performance Parts and Accessories! Lanzar is a Brooklyn, NY based car audio company that has been in the game for several decades. Their mission is to offer great customer service and top-notch car audio components without compromise. Lanzar utilizes several demonstration vehicles to showcase their products and they have a nice trophy case to show how their gear stacks up in competition. With a product range that covers the entire car audio spectrum Lanzar works hard to keep their products affordable for the budget conscious consumer who still demands high-quality sound.